Def Jam rapper, YG links up with A$AP Mob's A$AP Ferg for a new collaboration titled "Click Clack." The track is featured on DJ Radio and DJ Drama's upcoming mixtape Mr. Sold Out Pt 25. YG's debut studio album 'I'm From Bompton,' drops later this year. Jun 03, 2013 · ... http://bit.ly/VErZkw Def Jam rapper, YG links up with A$AP Mob's A$AP Ferg for a new collaboration titled "Click Clack." 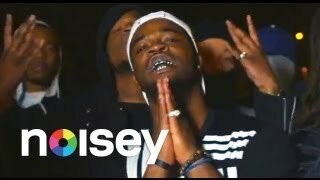 May 28, 2013 · YG Featuring A$AP Ferg - Click Clack STAY UP2DATE LIKE SUBSCRIBE.